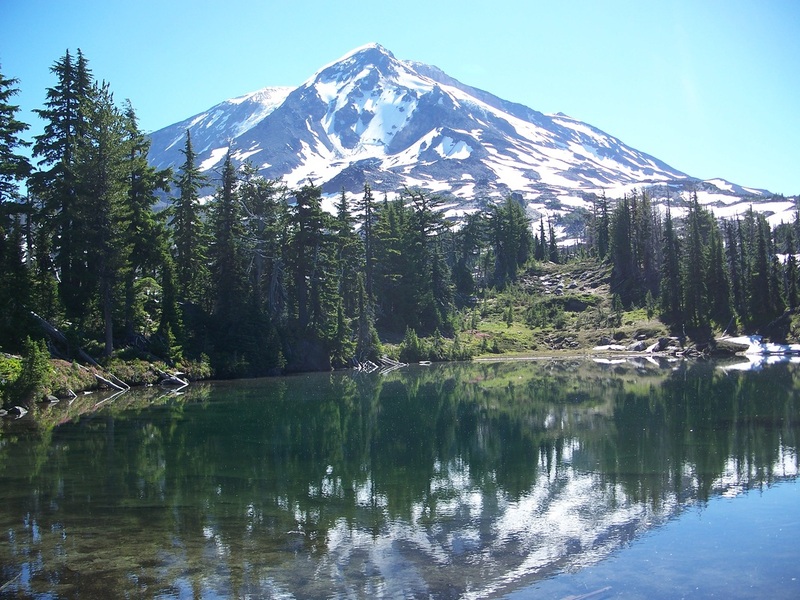 This is an out-and-back hike to Horseshoe Meadow and Crystal Lake on the west side of Mt. Adams. The first few miles of this trip are a mixed blessing. 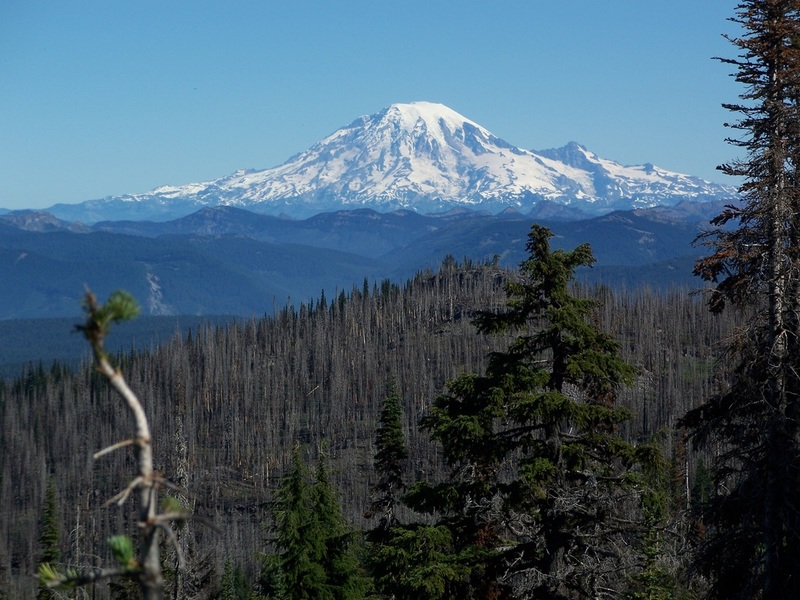 The Cascade Creek fire burned through the area in 2012. What's left is an abundance of standing, charred timber (glass half empty). What is also present are early viewings of Mt. 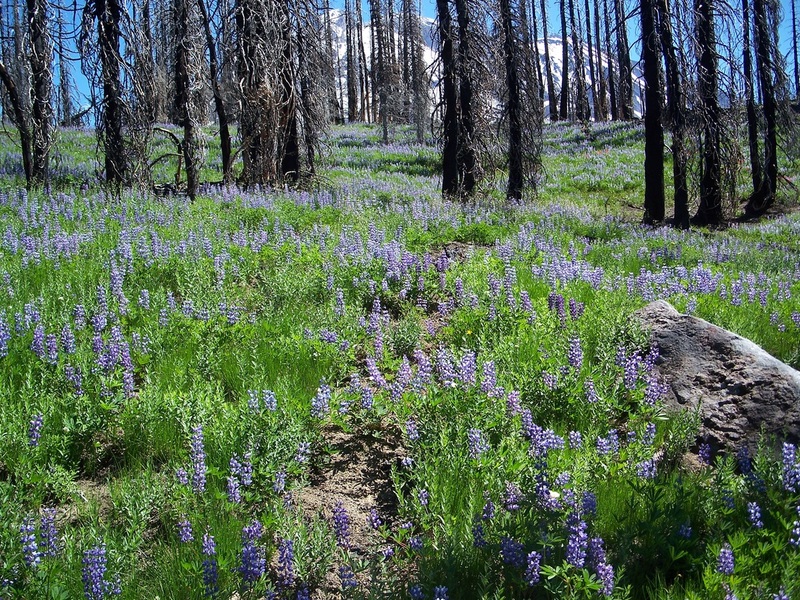 Adams on the way up, and - when in season - miles of lupine carpeting the trails (glass half full). 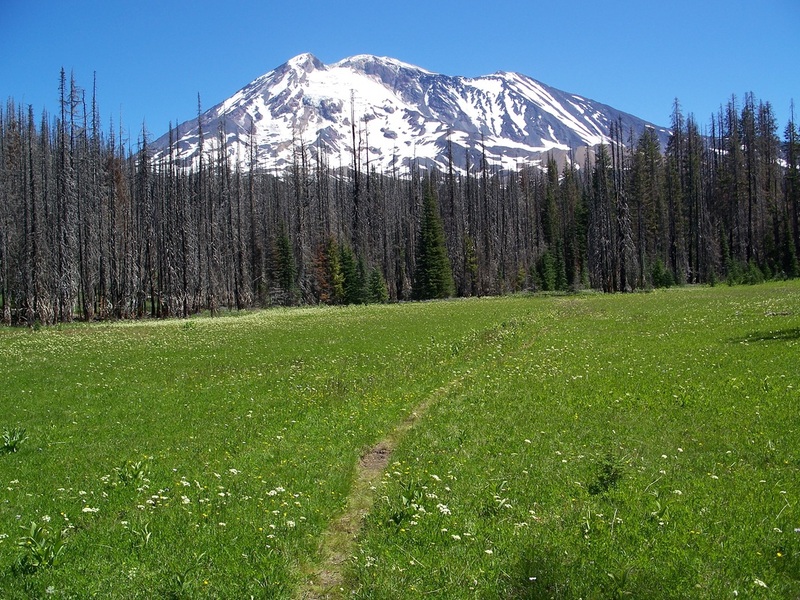 Horseshoe Meadow has a spectacular view of Mt. 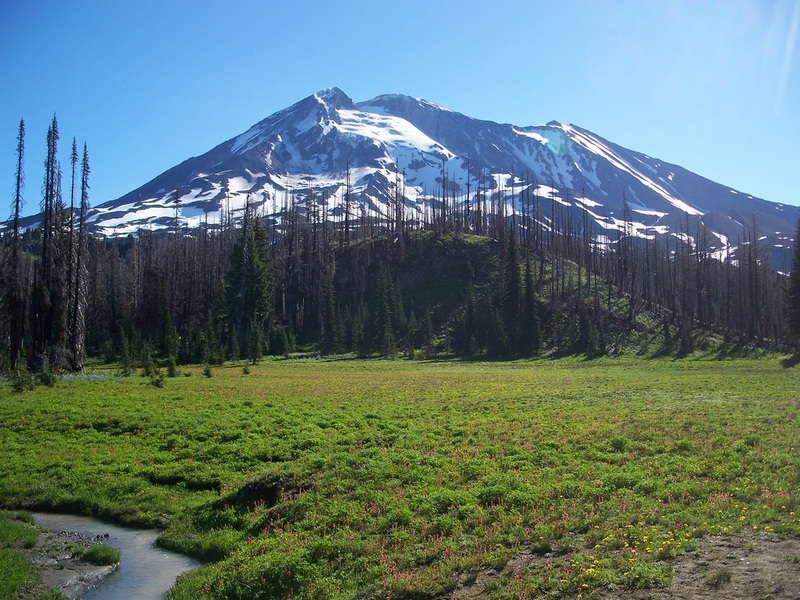 Adams, and is a fine hike (and camping location) in itself. Going on and heading north on the Pacific Crest Trail, there are even more lupines, along with wonderful viewpoints of Mt. 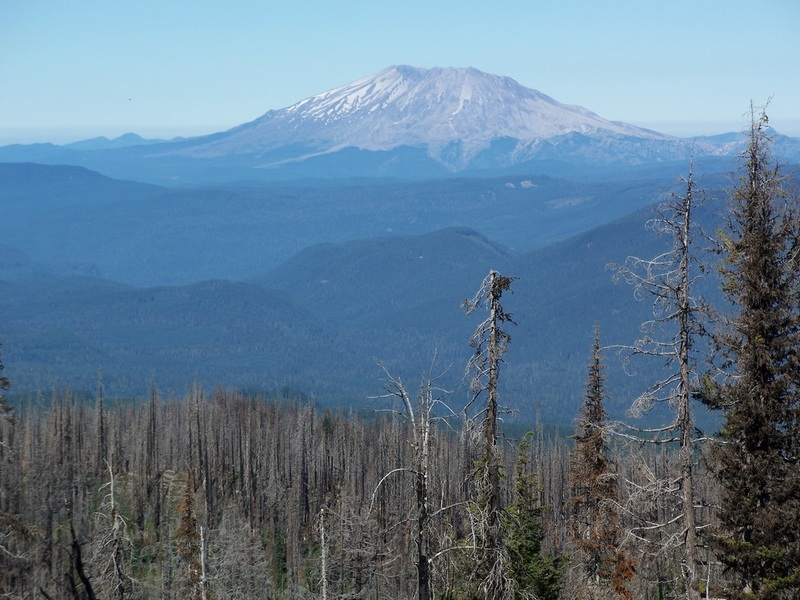 St. Helens and Mt. Rainier. From the PCT, a short uphill, off-trail trek leads to the small, tucked away find of Crystal Lake, at 6,200'. A little more bushwhacking past this lake yields a couple of additional ponds and the expansiveness of Mt. Adams. As noted on the trail map, variations are available to take in more of this outstanding area, especially with an overnight trip. Best July (flowers, but bugs) through fall.